In our everyday life, laptop is a prominent tool, especially for work. However we all adopt wrong postures while using it, causing discomfort and back pain and eventually a lack of productivity. 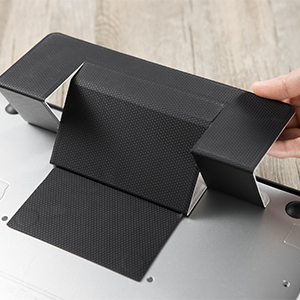 The right solution: a laptop stand. Unless traditional laptop stands, this invisible stand is made for people permanently on-the-go: it is portable and takes no time for setting it up! We are always on the go and constantly working from different spaces. 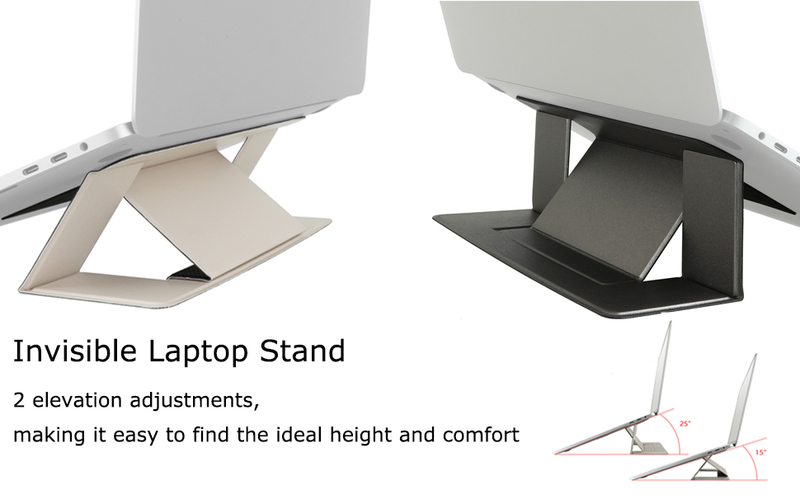 We found that depending on your working space, you will almost certainly have to adjust the height of the stand. Having the ability to change the height quickly and easily is a game-changer. With all of the different settings, you can really dial it in and get the stand positioned exactly the way you’d like. 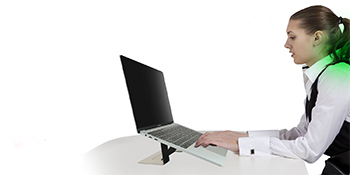 Ergonomic Design helps to fix your posture and reduce neck & back strain while using laptop. Lightweight and thin design basically you can't feel its existence, and more convenient in your daily life. 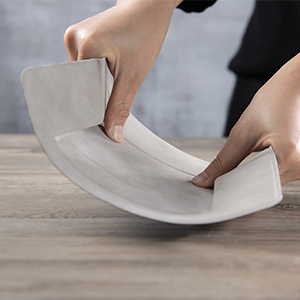 Due to the special material, it's flexible constructions makes you more comfortable when you use it. 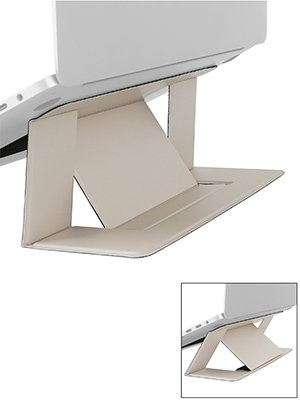 When you want to use the stand, you can open it just few seconds, and it can also flatten when you take it. Not a bad thing. It is necessary to be neat-on slippery surfaces can "go". Good stuff! Very useful if you're working long hours on your laptop, and don't want your neck and shoulders to hurt. Laptop tip is convenient, neck feqere agrilari ucun ela secimdir. 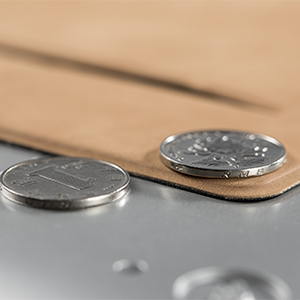 Simple, practical and perfectly fulfills the intended function.